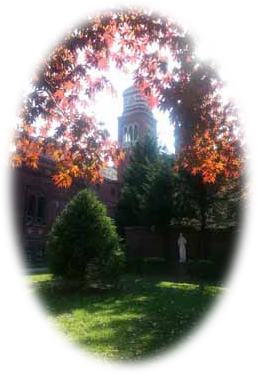 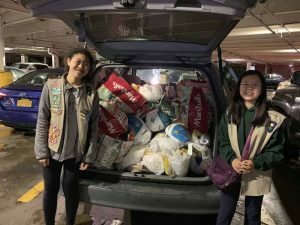 Troops 4940, 4413, 4414 were able to obtain 21 donations of Turkeys today for Our Lady of Mercy Thanksgiving Food Drive. We were also able to get 3 carts full of food donations for the ‘Thanksgiving Fixins’ from Stop & Shop. 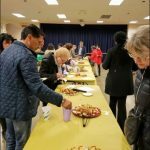 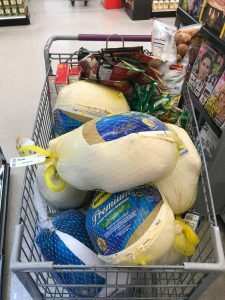 Some companies that donated gift cards for us to purchase turkeys were Stop & Shop $25, Dr. Arbitman, Orthodontist in Forest Hills -$50. 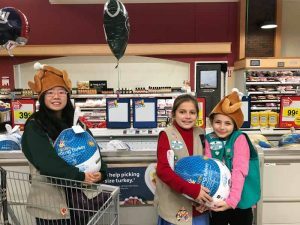 Some families from Girl Scouts also donated turkeys and food donations. 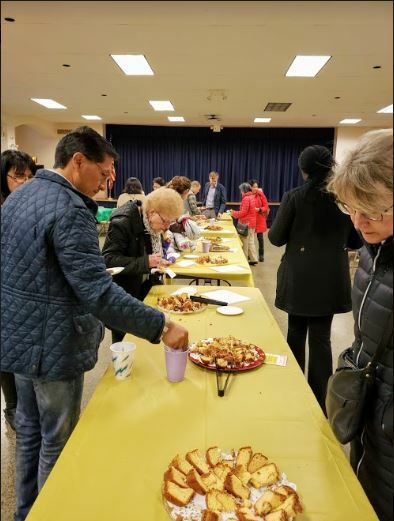 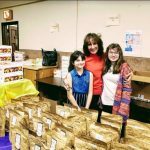 We were also able to obtain 2 certificates from Panera bread a free loaf of bread once a month for a year. 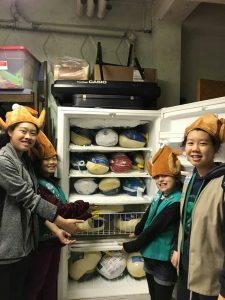 The 3 freezers in the food pantry are stuffed to the Max. We made sure all the freezers were closed shut and tight. Our Troops handed out flyers regarding the annual OLM food pantry Thanksgiving food drive and many said they would donate by 11/17. 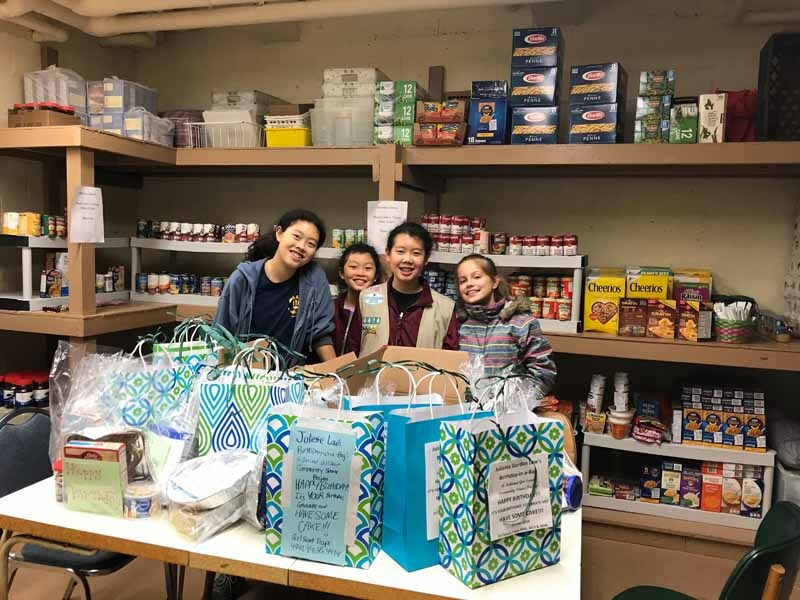 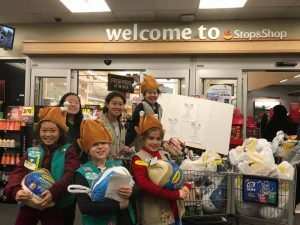 The Girl Scouts of Girl Scouts Troops 4940, 4413 and 4414 celebrated Girl Scout Founder Juliette Lowe’s Birthday by giving back. 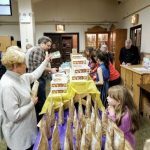 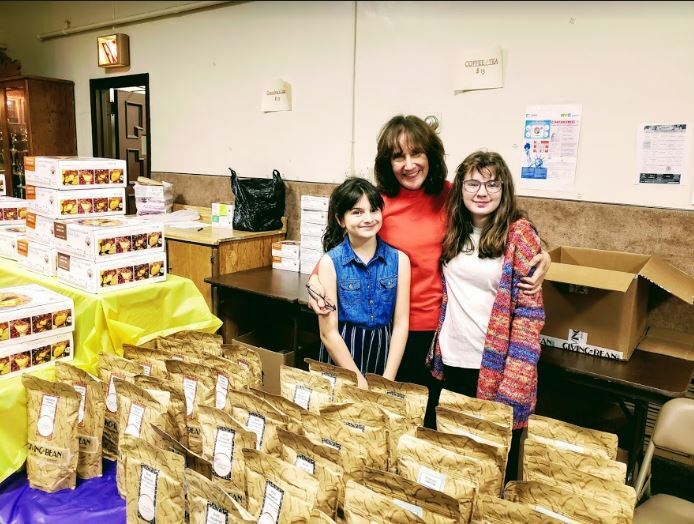 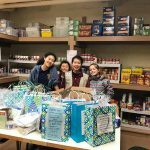 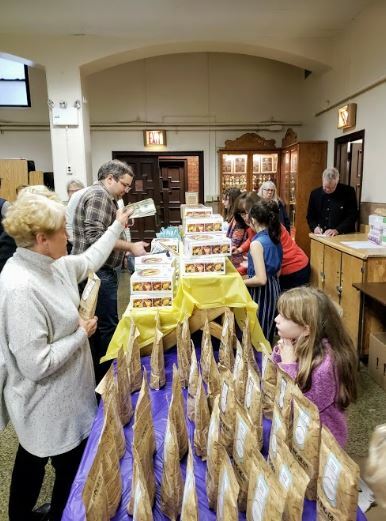 Our girls collected 29 boxes of cake mix, frosting, tin foil pans, birthday hats, candles, knives, forks, napkins and made 29 Happy Birthday cards, to put together Happy Birthday Bags for the food pantry recipients. 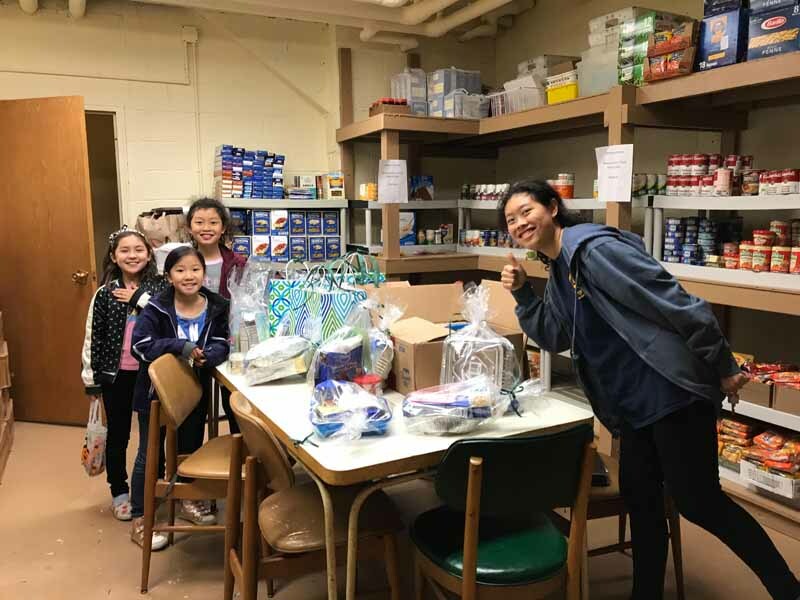 They were able to make 20 birthday bags (we ran out of paper bags, so will make the other complete 9 for next week). 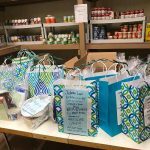 Hopefully the food pantry recipients can take these bags and make their birthdays easier to celebrate. 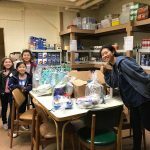 Another group of our girls celebrated the Mexican holiday Day of the Dead, that takes place on Halloween. 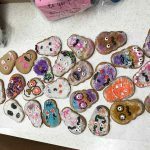 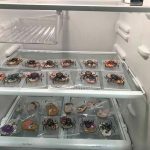 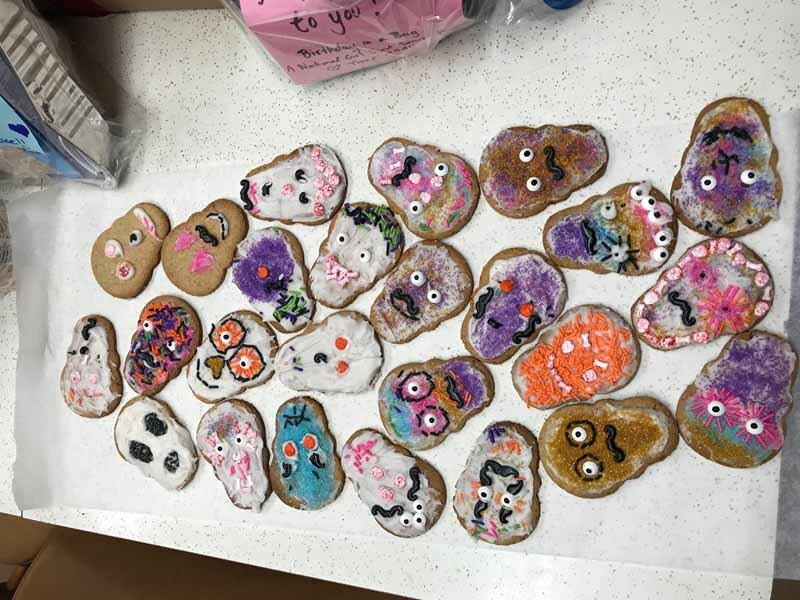 They made 25 decorated day of dead cookies, packaged and put in refrigerator for the food pantry recipients to take for today. 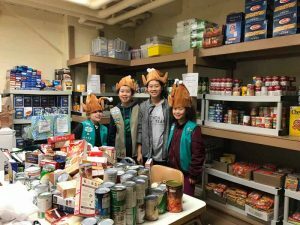 ***FYI: our Girl Scouts Troop is in full force and will be collecting Turkeys and distributing them to the food pantry by 11/17. 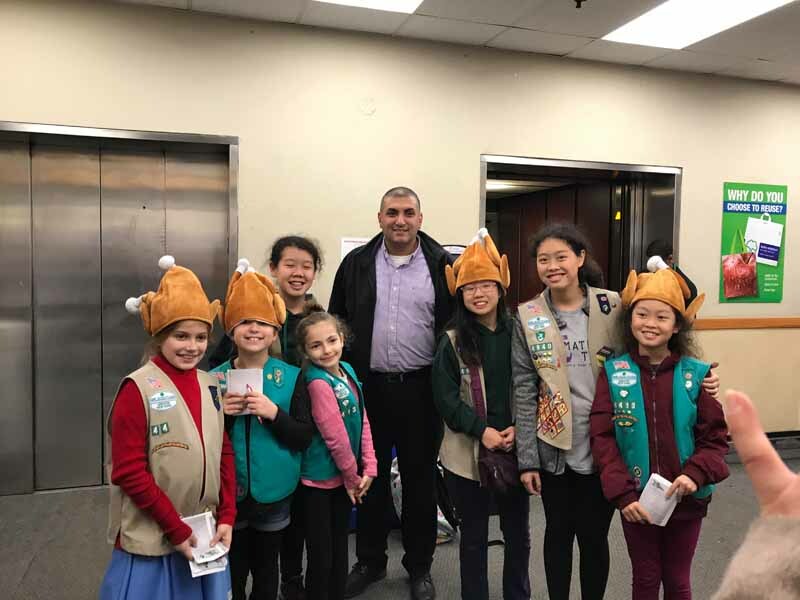 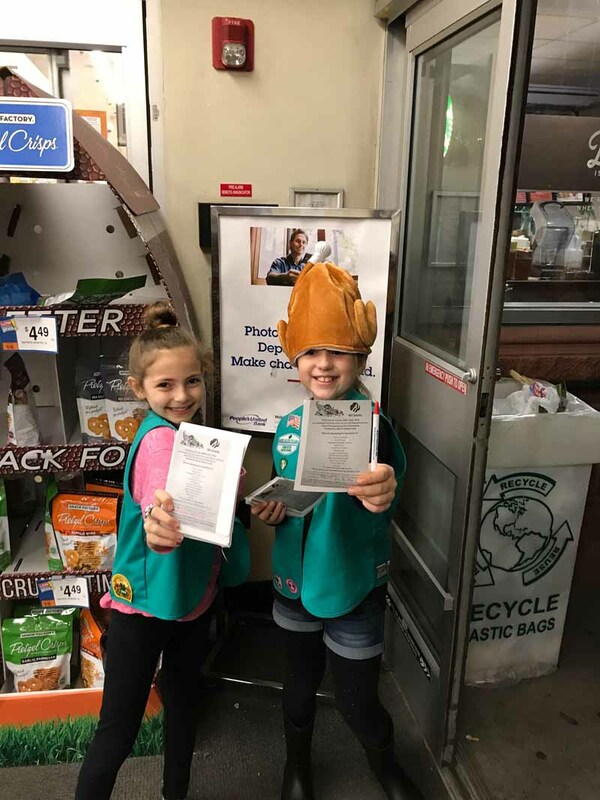 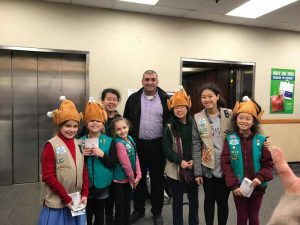 The Girl Scouts have created a Girl Scouts Turkey Task Force and will be giving out flyers when they Trick or Treat, that we can come and pick up frozen Turkey Donations on 11/9 at 4:30-6 pm or people can donate directly to the pantry on Saturdays 10-11 up to 11/17.